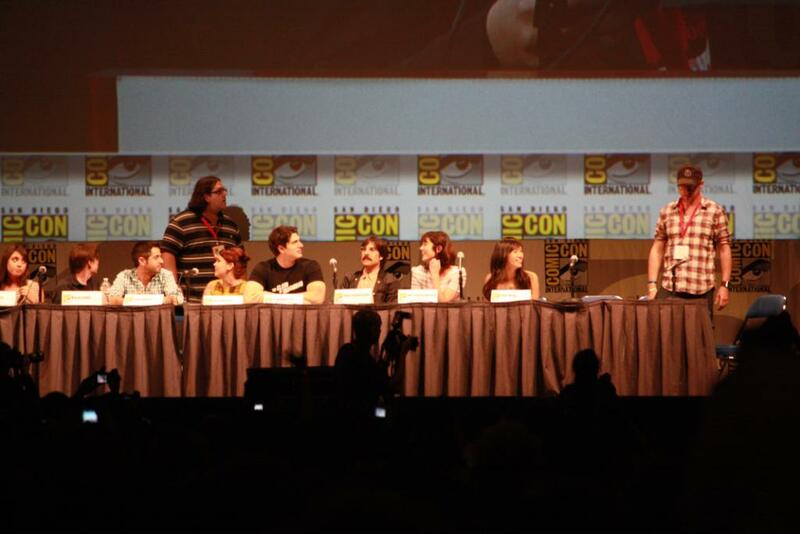 The panel for Scott Pilgrim vs. the World was entertaining, with a lot of the reason being the director himself, Edgar Wright. He called each cast member out on stage while forcing them to describe their feelings in one word — and had an obsession to ask the audience in attendance if they love chocolate. After all the cast members at hand were situated, Wright informed the attendees that there’s two very special guests that he wanted to introduce — he then announced Simon Pegg and Nick Frost. They walked on stage with arms victoriously raised while the crowd erupted with uproarious cheers. Just before shaking hands with the director, Wright then informed the audience, “And they will not be in the movie . . . nor are they special guests.” Pegg and Frost acted disappointed and sad, pathetically walking backstage while the lights dimmed — with “Aww!” from the crowd in unison. 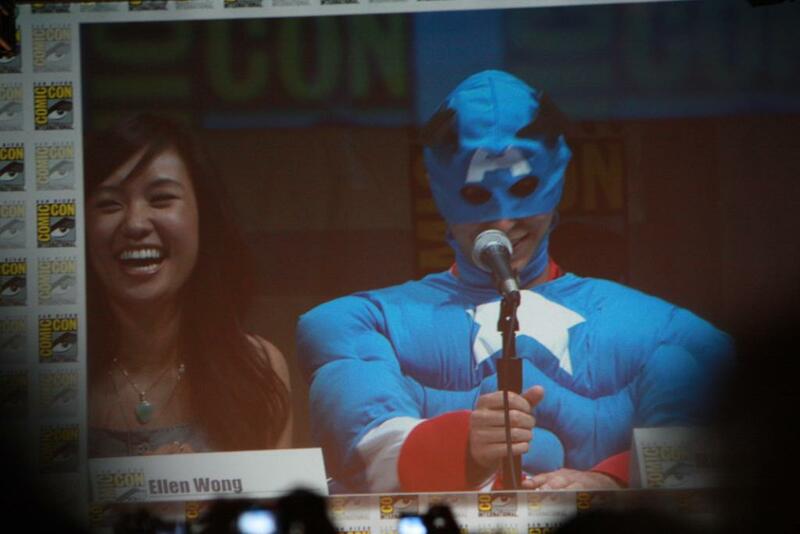 Edgar Wright then finally introduced the star of the film, Michael Cera — who came out in a crude Captain America costume; it was a way to tease cast member Chris Evans who couldn’t make it to the panel due to filming Captain America, and the fans ate it up. Asked of when he first heard of Scott Pilgrim, Edgar Wright answered that he first caught wind of the comic in 2004 when it came out and instantly fell in love with it. He got in talks with the creator Bryan Lee O’Malley (who participated in the panel) and began work to bring a film adaptation of the comic into fruition. Wright then went into detail about the fight scenes being approached as video game levels; and that the actors were trained by the likes of accomplished stuntmen — one namely being Brad Allen. At the end of the panel Edgar Wright informed us that the film is shot in 2D and that tickets will be at regular price; the audience cheered; then he excitedly said, “So see it twice!” which garnered louder cheers. The panel came to a close when Wright announced that those in attendance who have a 1-Up button will get to see a screening with him and the cast.